Paula Joy Cannon passed away at her home in Cornucopia, Wisconsin, with her family by her side, on December 24, 2013. Paula was born March 11, 1954 in Toledo, Ohio, to Paul and Barbara Miller. In 1972 she joined the Air Force and was stationed in San Antonio, Texas, where she met her husband, best friend, and the love of her life, Doug. They were married on September 28, 1974, and had three children: Lori, Jennifer and Sean. Paula was a registered nurse for 36 years, and she was dedicated to the people she cared for. She worked at Methodist Hospital in St. Louis Park, Minnesota, for 31 years, and at Northern Lights Health Care and Rehab in Washburn, Wisconsin for five years. She loved the residents at Northern Lights and developed many lasting friendships at both Methodist and Northern Lights. She was a wonderful nurse. In 1999, Doug and Paula bought property in Cornucopia, and finally moved into their dream home on Valentine's Day, 2010. 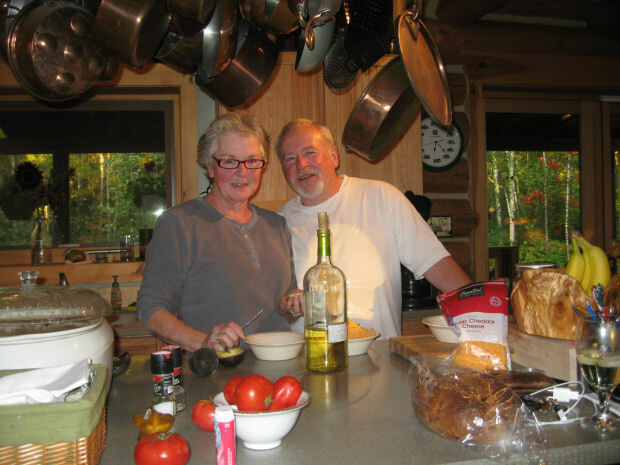 They began raising goats and chickens and Paula became a skilled cheesemaker. She was an avid gardener, an excellent cook, and she loved to spend afternoons on the shore of Lake Superior looking for beach stones and sea glass. She was warm, creative, funny and giving, and she loved her family above all else. Paula is cherished in memory by her loving husband, Doug, her daughter Lori and her husband Kevin Rettke (Ashland, WI), her daughter Jennifer and her partner John Ashwood (Carver, MN), and her son Sean and his wife Chandelle (Duluth, MN), as well as her two sisters, Luci Bowlus and Valarie Holm, and three brothers, Paul, Ron and Jeff Miller. Christmas was Paula's favorite time of year, and she would want her family and friends to spend this season with those closest to them. A day of remembrance and a celebration of her life will be held at the Town of Bell Community Center in Cornucopia on May 17, 2014. Paula was diagnosed in October of 2013 with a grade IV glioblastoma and fought a brave fight. Special thanks to the staff at St. Luke's Hospital and Oncology Clinic in Duluth, as well as the staff of Regional Hospice in Ashland. In lieu of flowers, memorials are preferred to be directed to glioblastoma research at the Musella Foundation for Brain Tumor Research in Paula's name at www.virtualtrials.com, or sent to Musella Foundation, 1100 Peninsula Blvd, Hewlett, NY 11557. When you make the donation below, we will already know it is In Memory of Paula Cannon and we will send an acknowledgement of your gift to the family.